No one enjoys running out of hot water while in the middle of a bath or shower. Restaurants can’t properly clean important utensils and cooking appliances they way they like without hot water. 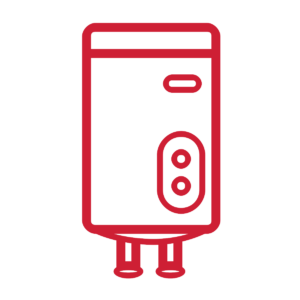 A well-maintained water heater is critical for homeowners and businesses who rely on hot water for various needs. Clinton Maintenance & Plumbing can provide you with thorough, reliable water heater repair and installation in Houston and surrounding areas. We’ll also come out and inspect the current state of your water heater and advise you on the best options. Our team provides commercial and residential services for a variety of water heater issues. Not addressing your issues could lead to a complete breakdown of your water unit. Water damage from leakage could cause untold amounts of damage, costing you quite a bit of money. If it’s time to replace your unit, we can give you estimates on the models and brands suited to your home or business. While there’s plenty of do-it-yourself advice available on the web when it comes to water heater issues, it’s always best to bring in experienced technicians. Amateur repair attempts could end up making things worse. We go over every aspect of your water heater and assess the true cause of your issues. That allows us to provide you with complete solutions that won’t require you to keep calling us back out once they are implemented. Give Clinton Maintenance & Plumbing a call and let us get started on resolving your water heater issues.